Why am I trying to do Post a Day 2011? The Post a Day challenge is a personal one, even though there are many WordPress bloggers who have taken it on. It’s voluntary. Have I gained anything from doing this? I think so. This little challenge has helped me look more closely at my surroundings as I go through my day. My awareness of opportunity is heightened. My creativity is being fed in a way I never expected. On days like this, when I am up against the wall, trying to find something to post, it does not make me want to throw in the towel and skip a day. It makes me want to take more photos tomorrow, or work on something new in the studio, so I will have more images from which to choose the next time. 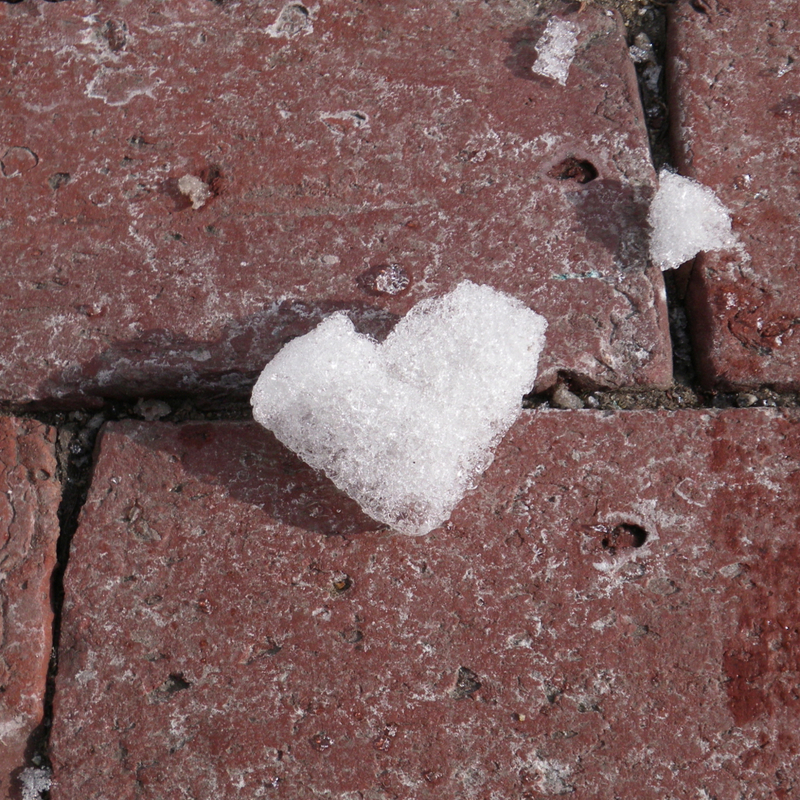 I was thinking about making valentines, as I walked around Portsmouth with my friends last weekend. Maybe I would find some interesting paper for a collage? Some cute little cards to send? I was hoping for some ideas to surface. It never ceases to amaze me how the universe answers the open mind. I walked past this little piece of snow on the sidewalk, noticing it with a delayed reaction. Of course! it’s 5:49am ….LOVE these hearts! i think the wonderful thing about post-a-day is that we readers get to hear your voice each day- what a great addition to every one of my mornings! Oh Holly… It’s the next best thing to my morning cup of tea to see your comments! I always find it amazing that the heart shape can be found in unanticipated places. I suppose that’s why it has such universal appeal. I like your natural hearts. Do you think these forms might find their way into your design? I’m happy you are here sharing your world. I may not comment often but I aways read. I am a regular reader of yours, too. I don’t always reply, but I think we are connected without comments! I really like what you are doing lately with bronze clay. I need to try it again. It’s been too long. Thoughts of safety and good energy to your son in Afghanistan. Your blog is the first one I check every day Barb. I know I will be amazed, will laugh, will learn something new, will gain inspiration…any, all, and more. Thanks for your resolution and for your commitment. Susan! Thank you so much. I’m honored to have you check my blog first! You will know exactly what I mean when I say some nights sure feel like a Sunday when it comes to writing a daily entry!! Great images! The post a day challenge is very personal for me as well. Although I’ve been mostly failing at it, I go back and post what I meant to post and try to fill in the holes. I’m getting better each day. Great finds! I love hearts and the places you found them were really cool! I think it’s a SIGN! …a sign that many people will LOVE these pix…thus catapulting you to Freshly Pressed fame! It’s these little moments in life (that so many pass up), which are ultimately the most vital to the soul. Oh how spooky and inspring! It is as if the universe is trying to tell you something. Beautiful jewellry by the way! Love your blog that I just found this morning. Nice photos – they remind me that a picture does not have to be something huge and spectacular, like a mountain or the popular and colorful sunset photos. It’s great to take pictures of the small details, things we sometimes pass by. I registered my blog on a whim nearly 2 years ago, then waited 18 months to post something (OK, I was a little busy). But since reading about the challenge, I am suddenly and miraculously inspired. Initially I was intimidated by the software, unsure about generating writing topics and jealous of my time. But I’ve discovered that I love WordPress and ideas (much like you seeing hearts at every turn) just keep showing up. The social media world that I foolishly resisted now is making sense. I joined Facebook earlier this month, much to several friends’ relief. And yesterday, I really went crazy and signed up for Twitter! Right now, blogging is a lonely pastime (Is there anybody out there?) I try to limit myself to 2 hours a day. A girl’s gotta work. But my plan is to make it all mesh and see just how connected I can be. Congratulations of landing on Freshly Pressed. Thanks! i just can’t do twitter yet. I was away from my computer all day, so just now checking and wondering what the heck was going on??!! I usually get about 30 hits on a good day, but today was over 1,000! Then I saw I was on Freshly Pressed. Totally unexpected. Thank you for taking the time to comment. Let’s keep blogging. I’m off to check yours now. Thanks for visiting me. I forgot to say that your jewelry is beautiful. I love silver and/or beaded earrings more than diamonds or pearls, and to tell you the truth, I want everything in your gallery. I’ll be back when the tax refund lands! I need to treat myself. P.S. Thanks for the “about” suggestion. I need to nail that done, but that’s more writing…. This is the first time I’ve read your blog. I enjoyed it very much and will subscribe to it. I love how you found hearts all around you when you took the time to notice them. Those are my favorite kinds of photos! The ones I take when I’m not sure what is really there. And then it reveals itself later. The blue heart sounds cool. How fun to find these heart shapes when you are truly seeing your world.For today I will also truly see my world. Thanks for the inspiration. What a good personal goal to set. Writing on a regular basis helps me a ton and I know which days I forget…everything racks up in my head and I don’t pay as much attention to things. Good luck with this! :) I’m excited to check back. Great pictures BTW! Maybe the world is aligning for Valentine’s Day? Wow. Thank you. I have to admit, I crop my photos to compose them, because sometimes I can’t see any composition until later. I’m always fascinated by what can be seen if we only look. These hearts are gorgeous! Thank you for sharing them. I really enjoyed your images. I am looking forward to seeing what else you will do. This “One post every day” challenge will lead to millions of pointless posts. Umm, so what is your point? Stunning photos! The snow one is just amazing. Saw this post on Freshly Pressed and I have to say I feel exactly the same as what you said in the first part of the post. Every day I seem to be more observant and more open to everything around me. I’m always thinking how I could delve into it a little deeper and write something about it. And, like you, when I feel uninspired I don’t feel like giving up – I always try and find more to talk about! I love the pictures! Thanks for the great post. Very cool! My daughter has always collected heart-shaped rocks she finds and puts them in our flowerbeds… I never realized how many other places we might see hearts! oooo i love the seaweed picture! how cool! i think its neat what we can find when we just open our eyes and look around and i would have to agree having a blog that you write in quite a bit forces you to do that. im always thinking..huh what would make a good blog post? well best of luck to your blog a day mission! Loved the pictures :) I love to find inspiration from the smallest things in life too. Good job! I love your coffee bean heart! Thanks. I think that’s what I was looking for, something to print out to use on cards for valentines. It’s nice to see what you can find if you just stop and take the time to look around. A Post a Day for 2011 is a big commitment, I am doing it myself and some of the things I talk about are simply hilarious and the others just useless, but I am finiding it really fulfilling at the same time. Keep posting, you’re doing a great job it’s true, you are foced to look at things in a different light everday so that when it comes time to write your blog, you have something entertaining enough to share. Have a look at mine, you might get a giggle. Thanks for your comments. It’s great to have support from others who are blogging every day. I liked your blog and, like you, I sometimes can’t help cracking myself up! 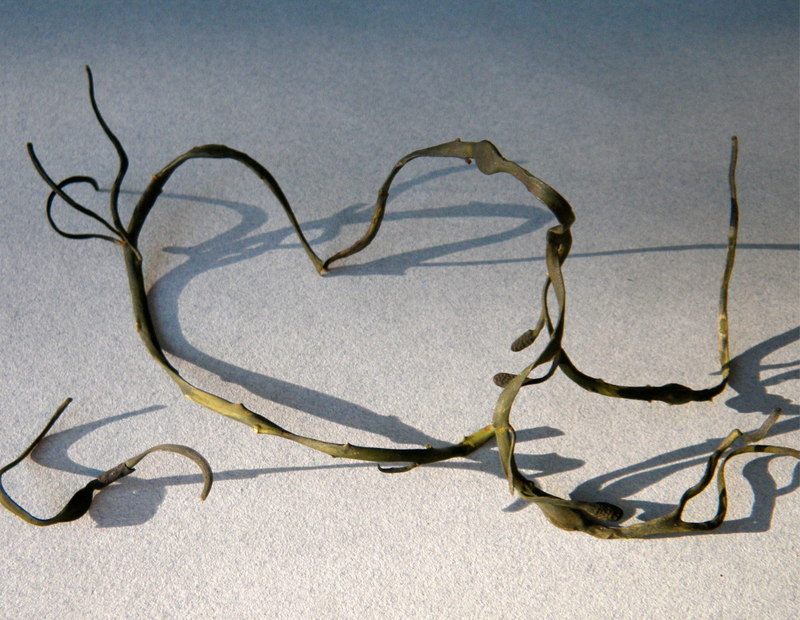 Oh my goodness, the seaweed picture is gorgeous! Amazing pictures! I’m trying to do a post a day, and I write about music, so I find myself thinking about topics for future blogs. I’m not sure if I can blog EVERY single day, but it’s good to keep writing, and I start to find that the more I write, I want to write even more! Good luck and great post! This is sooo very interesting! I am so happy you made it to the front page on WP. What wonderful photos. Congratulations on being Freshly Pressed. Well deserved, indeed. I admire your commitment to do a daily post. Adorable post. I keep my eyes open for “naturally occurring” hearts as well. Saturday evening I found a heart leaf in a very bare tree. I woke up this morning thinking I would post it. I haven’t yet but certainly will. I admire the 365 blog challenge. I am definitely kicking it up a notch in 2011. Blessings. 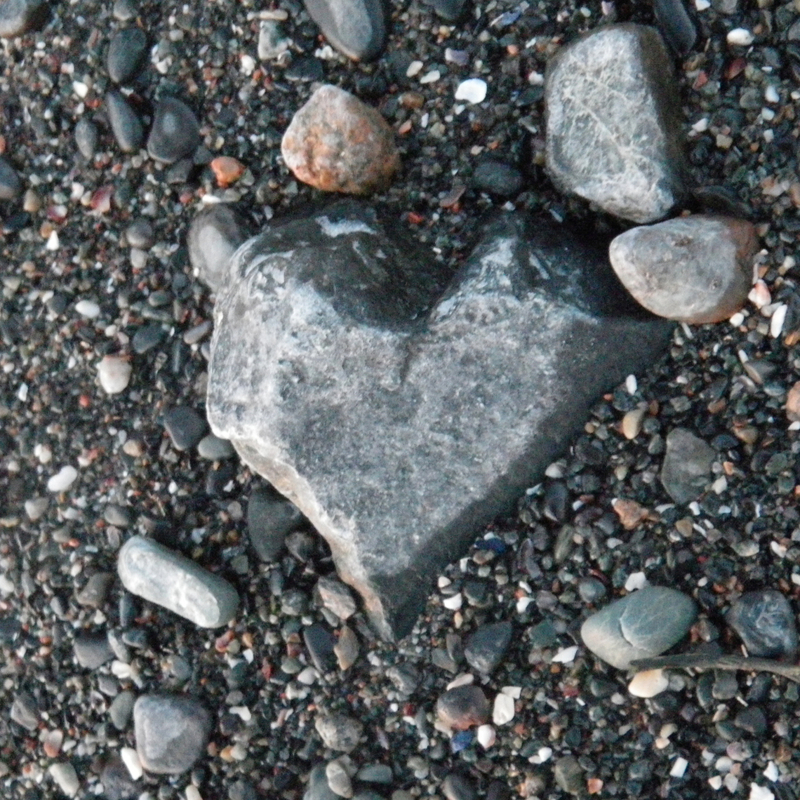 Looks like one can find “love” anywhere, even in the most unexpected, yet natural places! Hi, I loved what you have done. I hope I can be as inspiring as you are. Im new here. Everytime I come here and read I am encouraged. Congrats on being, Freshly Pressed. improve our creativity to write more and more………………. Well, these pictures are a message from heaven. Love’s not only in the air, it’s everywhere. You have the possibilities of your theme in a creative and inspired fashion. I enjoy the artistic quality. You are an encouragement to all who aspire to reach beyond the regular. hope u look at my blog too. I love those hearts. Beautiful. Thanks for some good reasons to keep “wordPRESSING” on! It does take some time from a busy day to reach into the creative part of the mind and post something. It really is a tough commitment. You appear to be doing very well. I hope to do as well as you on the Post a week. All I can say is, coincidence. It must have been really freaky and at the same time wonderful for you to find that every time you took a picture, you ended up getting something like a heart, and that too, just around the time of Valentine’s Day! Amazing pictures! Wow. I stumbled on to you blog, and I am really glad. Your pictures are fabulous, love the snow heart!!! That is so funny, because one time I was headed out to find flat oval shaped rocks for a jewelry background and the first rock I came across was a parallelogram! Love the creativity! Keep up the post-a-day! Good luck with your project. I should attempt at doing the same thing. I tried to write 5 articles every day ….was greedy and ended up writing 20 for the whole year. A day a article sounds best.